The first Finnish settlers arrived in 1874 bringing with them the traditions of their rich culture which still flourishes in New York Mills today. At the local bakery you can buy flatbread. Saunas are a daily fact for many and although the public saunas no longer exist, many resorts and lodging offer them to their customers. 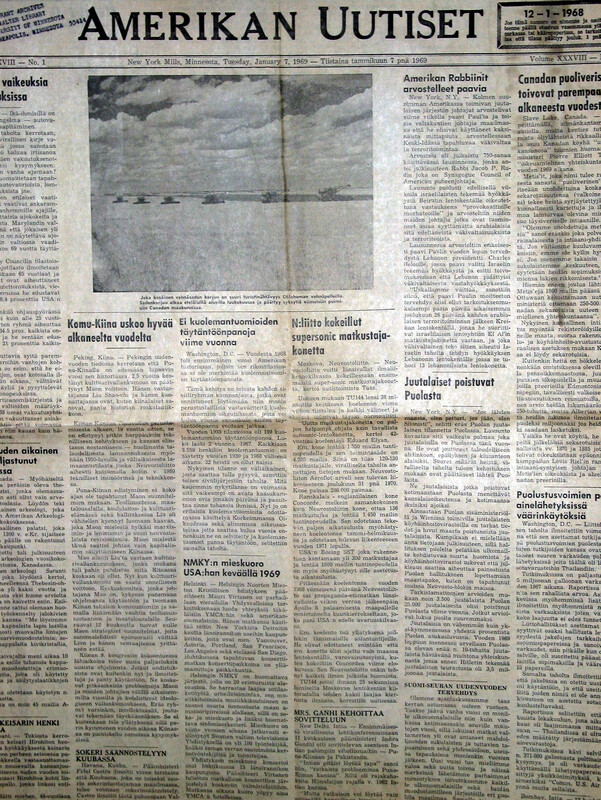 Until 1985 a Finnish language newspaper was published in the community and even today there are many people who speak the language. Listen carefully to the conversations at the local café and you might hear Finnish being spoken. © New York Mills Civic & Commerce. All rights reserved.